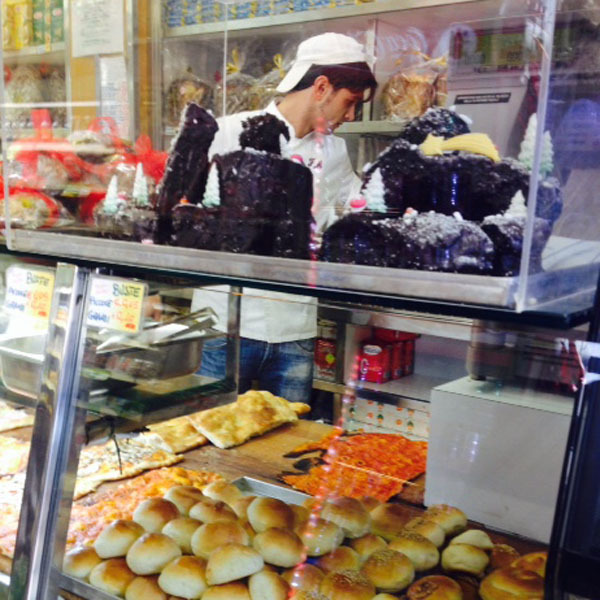 Residential quarters are the best bet to find good and reliable bakery and delicatessens; after all these store owners have a reputation to live up to and serving mediocre or poor quality food would not be a sustainable way in running a food business whose patrons are residents within the quarter. 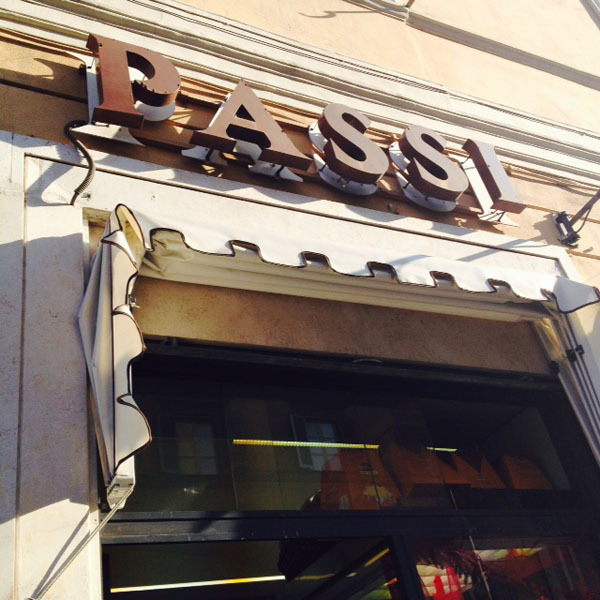 We found Passi one casual Sunday morning in Testaccio, Rome. 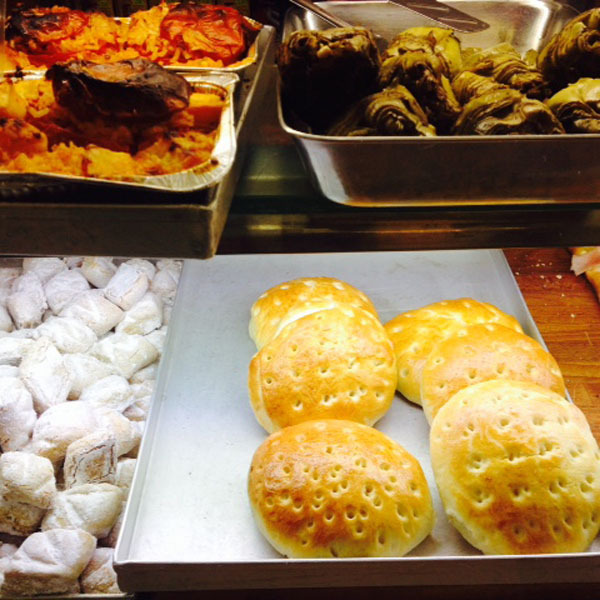 Located at the corner of the piazza of the living quarter, Passi is a typical Italian fornaio, a bake shop that also offers a selection of typical Italian dishes such as egg plants with parmesan cheese, thin crust pizzas and oven baked artichokes. 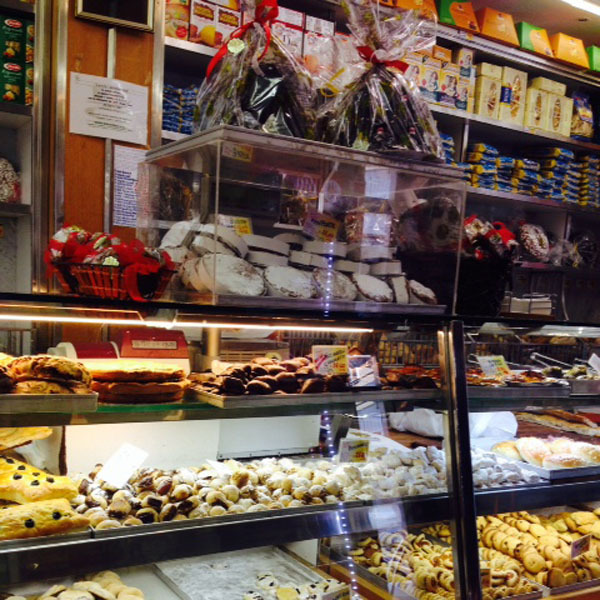 As with many traditional neighborhood stores, Passi carries a old-school genteel charm. We recommend that you bring home some anise-spiced ring biscuits (ciambelline) and order yourself a slice of tomato thin crust pizza whilst taking a stroll in the neighborhood.